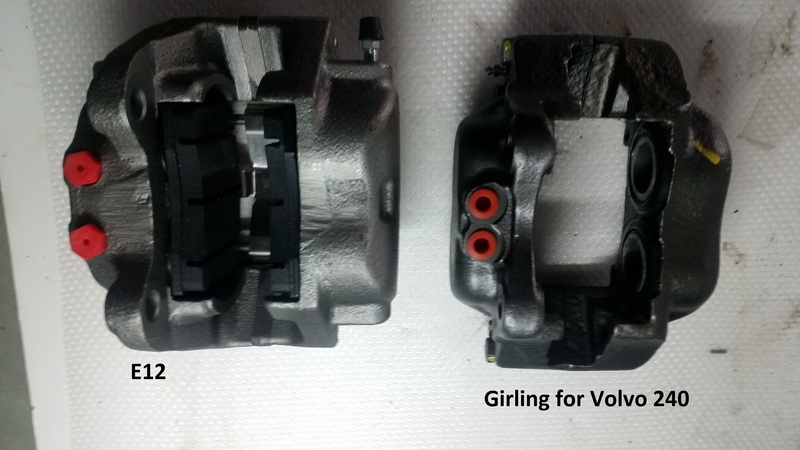 Volvo Caliper -Vented Disks but which pads? I recently bought just the calipers for the volvo upgrade kit. But what kind of pads? Just 1977 E21 pads? - The writeup did not go into detail about the pads. The pads have to match the calipers you bought. The 320i pads won't fit the Girling calipers. uhhh yeah. buy pads for the calipers. Any idea which pads i need based on the picture? Not sure what you're getting at here.. Of course I need pads. buy pads for the calipers. They've answered your question, the pad application follows caliper application. ok let me rephrase my question. Based on the calipers in the picture, any idea which pads I will need? Is there any other way for me to figure out which pads I need? ATE Calipers are usually yellowish/gold can I assume these are gurling? I usually just go off of what car they belong to, so even though i'm being told "Buy the pads for the calipers" - I don't know how to do that, so it isn't very helpful. OK ..... the caliper's application is from a volvo 240/244, order pads from that same application. Or of course Jeff/Jorge have them on the shelf. 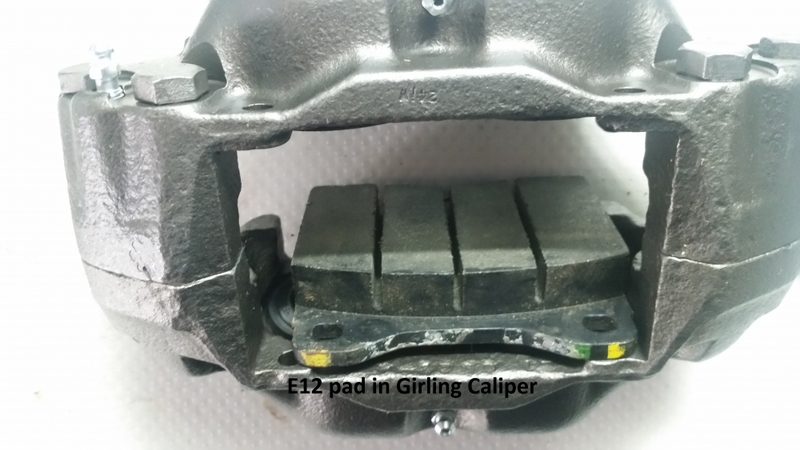 tii/e12 pads definitely do not work with the Volvo calipers. Thus, as Andrew says, if you have Volvo 240 calipers, get pads for them. One more question.. Do I run 2002 lug studs, or e21 lug bolts? Either. I went with longer studs. You can also use e21 lug bolts. Search the FAQ. There are many clear writeups on this subject that answer every one of your questions. I know because I got all my info for my upgrade here. Also call Ireland engineering for all the parts you need. There's a good reason to buy from places like that...you can call for help. The cheapest online place probably won't give you that service.